Coming Soon! Sign up for more information and to be notified when it’s ready! Over the matter of a few years, the way we interact with technology and make purchases has taken a dramatic shift. This shift has posed a tremendous opportunity and need for businesses to adjust the way they reach buyers. The best way to find areas to meet buyers on their new journey is through a customer journey map. The modern consumer takes an omnichannel approach on their path-to-purchase, going from brick-to-click and click-to-brick when buying. A customer journey map done through the lens of a business framework, which infuses data and subtle nuances of modern consumers, yet is simple enough to internalize. Use your customer journey map to show opportunities to align your business's story and model with your buyer's emotional and logical triggers — the key to achieving brand euphoria. 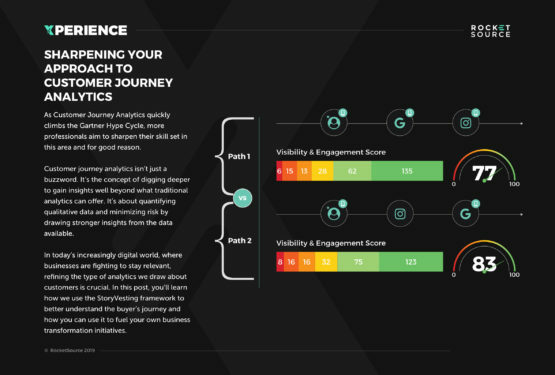 By adding customer journey analytics to your customer journey map, you have a gateway for improving sales and driving bigger business outcomes. Interested in this Audio Widget? One of the hottest sales tools today is the customer journey map, but believe it or not, it hasn’t been around for that long. It wasn’t until recently — around the time that modern consumer behavior became more complex — that many companies started leveraging this crucial tool to increase sales. To better explain why, let’s take a quick blast to the past and look at how today’s buyer’s journey, and thus, the sales process has evolved over recent years. But first, a quick caveat. At RocketSource, we tend to over-engineer things. The customer journey map is a prime example. We’ve iterated on the traditional version of customer journey mapping so much that we call it the customer insights map. But, for the sake of this post and understanding, we’ll refer to the concept of visually documenting a buyer’s journey as a customer journey map. Now, onward! Both of us — Tanner and Kimberly — have a background in sales. We’ve watched with fascination as the market has changed at rapid speed. The way people found what they wanted to buy varied too. Although consumers used search engines to research products and services, there was still a healthy skepticism about shopping online. Today, even the simplest tasks are done via an omni-channel approach. Take a look at the difference between 2017 and 2018’s back-to-school supply purchase behavior as evidence. 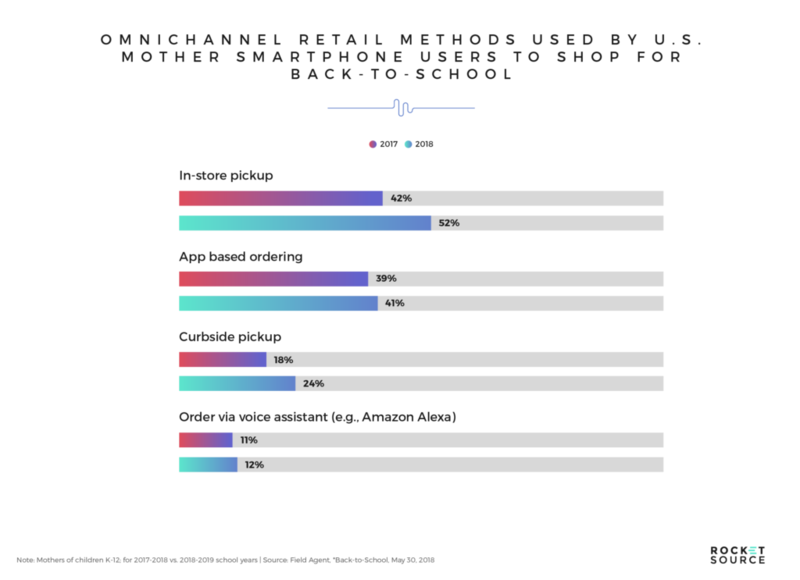 Moms today are ordering online or via an app for in-store pickup or curbside pickup rather than dragging kids through the stores. Technology has changed the fabric of the customer’s journey across all industries — not just retail. To understand how it’s changed your industry, a customer journey map can shed light on what your buyers are doing from the awareness stage, all the way through the purchase and beyond. 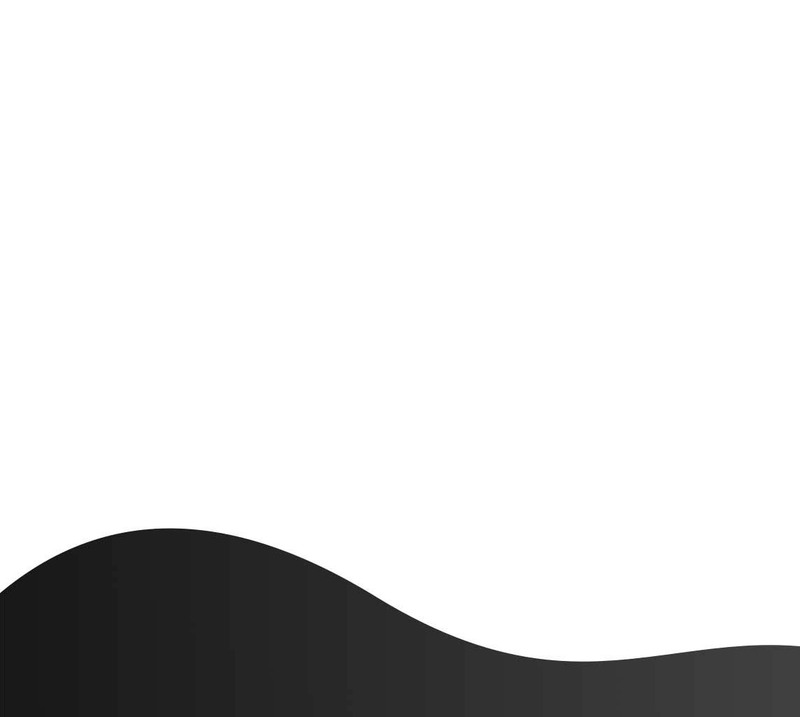 A word of warning before you get started: Too often, we see companies dive head first into customer journey map creation. These sales tools are powerful, but not when treated as a one-off initiative. Before stretching a giant, blank customer journey map across the wall, grabbing those sticky notes, and jumping into it, it’s essential you approach your mapping exercise through the right lens. That lens stems from the business framework you use in your organization. In today’s fast-paced, quickly evolving business environment, the framework you choose must encourage you to do three things: infuse data, internalize its meaning, and honor the nuances of today’s modern consumer. Traditionally, the surface level analytics found in most customer relationship management (CRM) tools are pretty much the extent of what’s used to drive most make or break decisions. 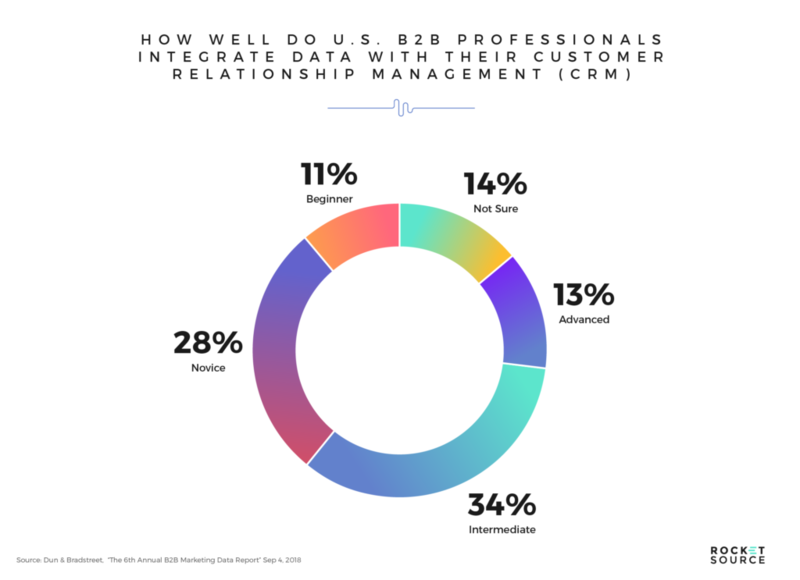 Just look at how many B2B marketers struggle with CRM integrations. A whopping 39% are novice or beginner when it comes to integrating data with the CRM, and 14% aren’t even sure where data fits in. These companies are missing tremendous opportunities by not tapping into data. So why aren’t they? It’s certainly not because there is a shortage of data out there. There might be multiple reasons, but in our experience, the primary reason is a lack of framework in place to guide what’s needed from the data while customer journey mapping. Without a framework in place to serve as the blueprint and guide processes, many pieces get forgotten, left unstructured, or missed. The right framework shapes how the organization as a whole sees the customer’s entire journey in a macro view. It acts as a guide to everyone in the organization, empowering teams from IT to sales and beyond to break out more profound insights about your buyer. As people, we often choose the path of least resistance. Doing so is natural. The harder something is to understand, the less likely it is we’ll use it, opting for the more straightforward route instead. The same logic applies to a business framework. When using or implementing a business framework, it’s easy to get tripped up with complexity and then go right around it. Contrary to popular belief, a robust framework doesn’t need to be complicated. We argue the opposite. A well-built framework is simple on the surface and easily interpreted across all departments. This simplicity ensures that your framework doesn’t have to be pulled out and referenced every time you make a critical decision. There was an 80% growth in the search term “best” on mobile devices from 2015 to 2017. When people want a caffeine fix from their local coffee shop, Google has found that they’re more likely to search for, “best coffee shop” rather than simply, “coffee shop.” This new behavior, and other search behaviors like it, has led to an increase in the number of touchpoints along the buyer’s path-to-purchase. 80% of consumers are more likely to make a purchase when brands offer personalized experiences. Understanding the consumer’s journey and their expectations in each stage are pivotal to know how to personalize the experience and ultimately win the sale. But that personalization can’t be delayed. Remember, consumers today are different. They’re demanding. They have the power, and they know it, and because of this new found empowerment, another Google study found they also want immediacy. 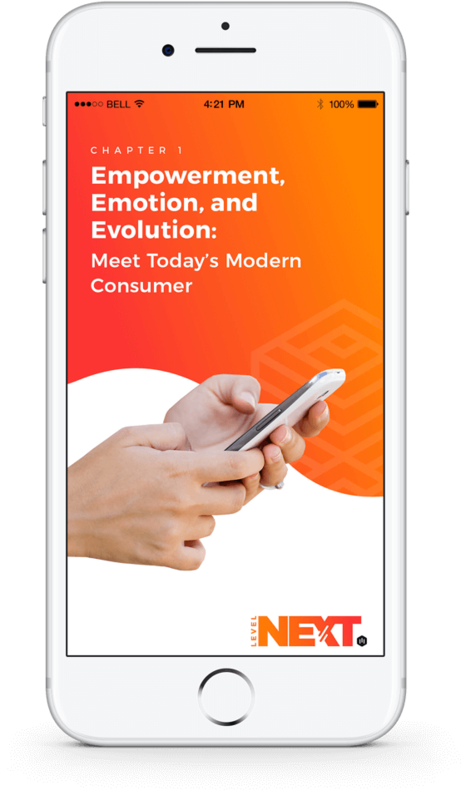 As modern consumer behavior becomes more intricate, so does the need to understand and answer those behavioral changes and how they impact a buyer’s transition between channels and across devices. Having a robust framework to serve as a lens for viewing these nuances can help guide the process of filling out your customer journey map. The framework that answers these three requirements, and the one we use at RocketSource, is StoryVesting. To understand why we’re such advocates of leveraging the StoryVesting framework during the sales process, you must understand what prompted it to come to life. You can read the full backstory behind this business transformation framework over on our co-founder Buckley Barlow’s post, but for now here’s some high-level insight into its history. When Buckley got started building out the StoryVesting framework, his initial goal was to build something that would guide his success. As he started talking to people who had impressive resumes, such as Gene England of England Trucking and Eric Schmidt of Google, he quickly found his research was leading beyond personal success alone. Buckley had the research and insights to build a framework for organizational success too. These are the key insights he gathered from these conversations. The business’s vision is paramount to achieving success, followed closely by the business model. When it comes to mapping your customer’s journey, keeping these crucial pieces of the puzzle in mind can help you understand the big picture of what’s needed to help your company succeed. But it goes deeper than that. No matter how intricate people’s purchase behavior gets, sales still come down to the people involved. Sales are all about relationships. Those relationships are formed both internally and externally. Buckley’s research proves that by showing the importance of having employees who are vested (40%) and talented (28%). Scratching your head yet? Aren’t those people just inside your business? Isn’t this post about understanding the buyer’s journey? You’re correct, which is one of the things we think makes StoryVesting so brilliant. As Buckley designed the framework, he did so to incorporate two circles — one that answered the brand’s drivers for success and the other that answered the customer’s path-to-purchase. Here’s what it looks like. 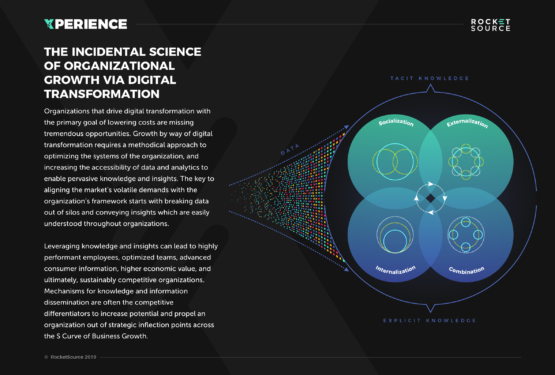 The brand experience framework was built out based on his research and findings for organizational success. The customer experience framework was built based on his passion for behavioral economics and consumer psychology. To build this framework, Buckley studied a lot of people, such as Albert Bandura who created the social learning theory out of his study using the famous Bobo Dolls. He also dug into recent research on the impact of cognitive associations and cognitive dissonance. Buckley even looked at neuroscience and the role the brain plays in making key buying decisions. The nuances of human behavior are baked into StoryVesting, and yet, the framework as a whole is simple enough to internalize. You can see that the further these concentric circles drift apart, the more a brand heads into No Man’s Land losing brand equity, disconnecting from modern consumer’s needs, and putting the company ahead of the customer. The closer these two circles align, the more euphoric the customer’s experience. After reaching Brand Euphoria, a brand delivers immersive experiences, forms deep cognitive associations about the brand, and becomes more customer-centric with each interaction. It’s the latter company’s strive to achieve, and mapping the customer’s journey is one practice that enables you to get closer to that goal. However, the customer journey map itself isn’t what will bring alignment. You have to move both of the circles towards each other. Keeping the concept of this alignment in mind is critical as you start to map your customer journey and how your company engages with your buyers at every step. 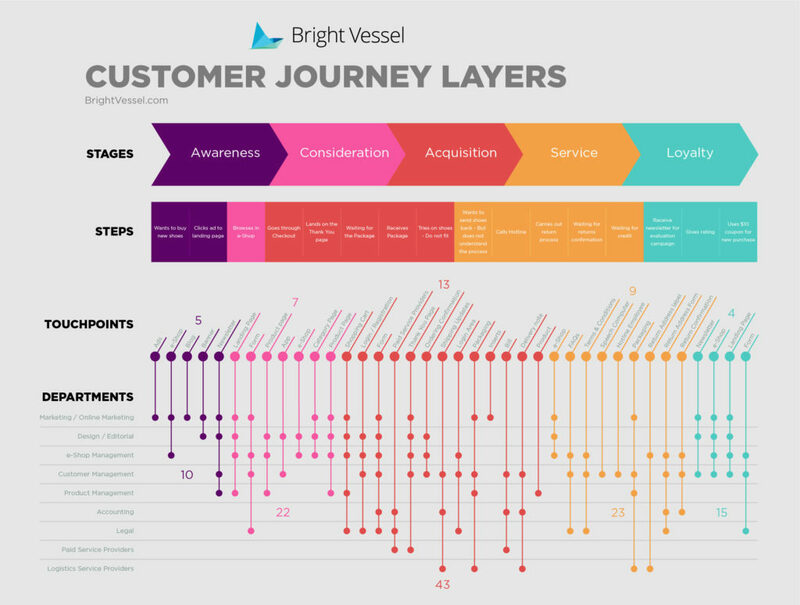 Traditionally, customer journey map exercises look a little like this one from BrightVessel. There’s nothing inherently wrong with this map. It’s good. It captures essential aspects of the buyer’s journey, including the stages they go through when deciding to buy, and the steps they take in each of those stages and touchpoints. It even outlines which departments internally touch those customers along their journey externally. 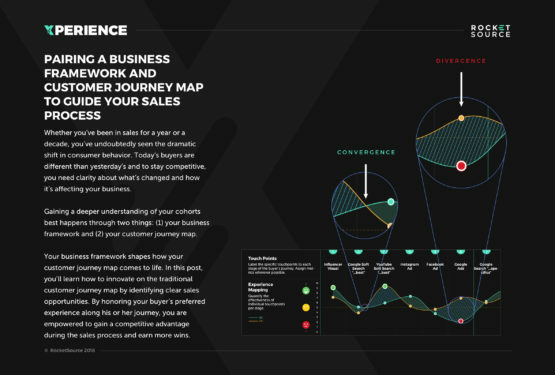 Another one of our co-founders, Steven Kiger, and his associate, Kevin Beckstead, covered how these types of journey maps have evolved to match the modern consumers funnel and demands in their post about customer journey visualization. And, as you might recall from earlier in this post, we outlined the importance of bringing in data to better understand what’s happening with your customer. Yet, the traditional customer journey map above doesn’t offer that level of insight. So we innovated on this exercise, using the StoryVesting framework to guide the efforts. Here’s a sampling of how. We really wish we could give you the full version here, but we can’t. It’s only available to RocketSource clients and those who go through our LevelNext workshops. We have put a lot of proprietary information and our secrets into it. But, what we can do is touch on some of the ways we’ve modernized the customer journey map so you can innovate your internal processes. Let’s start by looking at this map horizontally. You’ll notice some questions, emotions, and statements at the top of this map. These directly align with the empathy mapping exercise we’ve done specifically for this customer cohort. 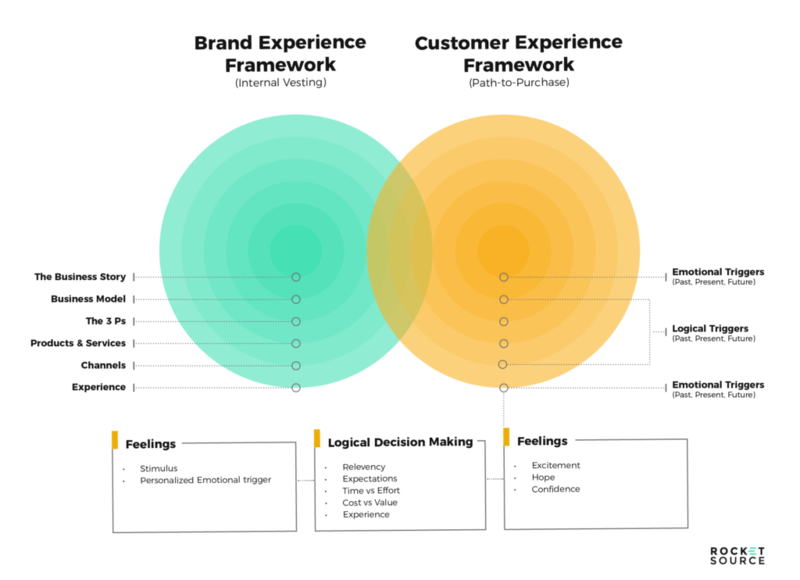 This part is significant because by bringing empathy onto the map, we’re better able to understand what the customer is thinking, feeling, and doing at each stage of their journey. Move further down the map, and you’ll notice two lines. Each of these lines corresponds with the two circles in the StoryVesting framework. One represents the employee’s experience and the other the customer’s experience. By breaking these out separately, we can quickly visualize areas of opportunity to improve the experiences on both the customer side and employee side, throughout the sales and onboarding process. Another thing you’ll notice is the number of touchpoints on this map. These correspond with the modern consumers’ research-obsessed behavior we talked about earlier. In this one stage alone, there are 11 touchpoints. Each of those touchpoints corresponds to a micro-moment in the buyer’s journey. Honoring the research-obsessed customer by predicting intent and listening to customer signals, which in turn can drive long-term growth. Personalizing each touchpoint by showing up in the right place at the right time with the right empathy-infused message. Delivering more value at each touchpoint and automating communications so that they provide a frictionless experience across all devices. These are the core attributes of today’s modern consumer. In taking this approach, we can better align the sales process and achieve larger business outcomes. 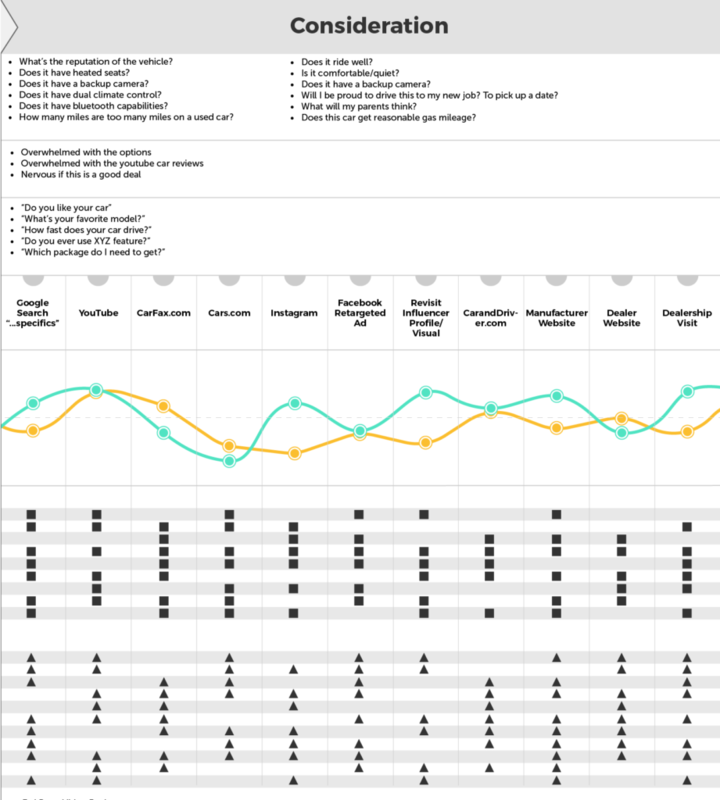 Guesswork is the old school and ineffective way to fill out your customer journey map. It just won’t work with today’s consumer. Instead, it’s imperative that you dig into your data to get an accurate picture of where you can improve your sales process. The modern consumer’s behavior changes quickly, making it hard to continually evolve the process at every stage of the journey. Measurement leaders are over 2x as likely as their measurement-challenged counterparts to invest in automation and machine learning technologies to drive activities. Most marketers believe their KPIs are achieved by increasing the investment in automation and technology. 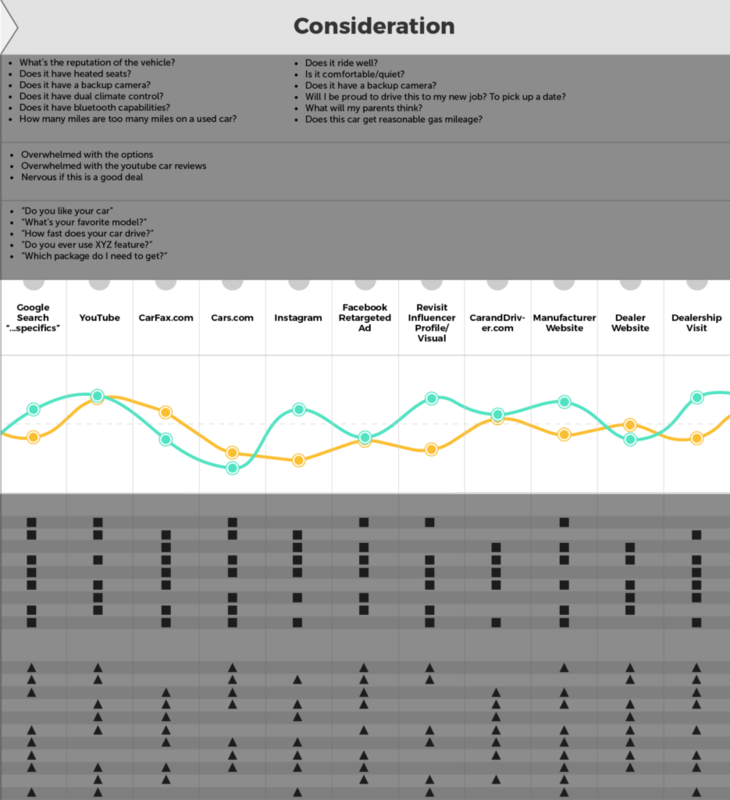 Still, very few are tapping into this resource as a way of better understanding their customer journey maps because they aren’t sure where or how to start. By honing your measurement practices, you can help increase your insight into what’s happening along the buyer’s journey, empowering you to automate more and improve the overall experience for your buyer and your team. A customer journey map has the potential to contribute to your overall business outcomes in clear and dramatic ways. That contribution starts with using it to improve how you reach and sell to your customers, both new and current. But, without viewing your customer journey map through the lens of a framework like StoryVesting, or attaching data to visualize irrefutable areas of opportunity, you won’t achieve maximum results. As we’ve alluded to earlier in this post, we offer specific training on how to bring this to life for your team. If you’re interested in growing yourself personally and professionally in these areas, we encourage you to sign up for our free series called Digital Dominance. Then, poke around the LevelNext pages to learn how we can help your organization as a whole with these same concepts for each department. Free monthly email designed to catapult you to the next level. We blend online and offline learning and immerse you in CX. Break the barriers between departments with this in-person collaborative approach. Kimberly Crossland works tirelessly to uncover innovative ways to improve the digital experience. Though her work is mostly geared toward content, she works closely with everyone on the RocketSource team to engineer growth and ignite results — and she does this daily with a strong cup of coffee in hand. 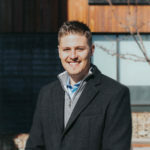 Tanner Johnson is a growth leader at RocketSource, passionate about personal and professional development. It’s through his deep interest in continual learning, and understanding of business transformation that he helps companies get started with impactful new initiatives and projects. ©2018 RocketSource. All rights reserved.